Have Christine tell you the story of Sélestat. Let yourself be surprised along the streets with Caroline or Eric, during an immersive stroll punctuated with unexpected anecdotes. Discover the unusual and atypical Selestate in the course of a playful visit with Fabien. Experience Alsace gourmet and its traditions with Celine. Share with Arsène and Robert, on foot or by bike, all the pleasure of a walk through the Ried. Visiting Selestat with the Greeters is the guarantee of a total immersion in this superb city of Alsace! 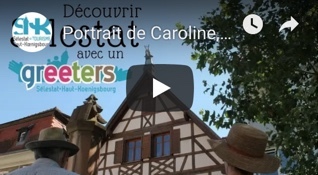 The Greeters de Sélestat were born in 2012 under the impetus of the Office de Tourisme de Sélestat, from the desire to propose a new way to discover the city. For this city often little known to the general public despite its undeniable charm and rich heritage, what could be more authentic than the inhabitants in love with their territory to tell you and make you discover Sélestat. Driven by their passion for the city, our six Greeters will share with you and make you experience all the emotions that Selestat inspires in them. In French, of course, but also in German and English for some. Each Greeter has its own style, interests, and favourite tours… As a result, each ride is unique and original. These passionate locals will make you experience, for a moment, their favorites, their good tips, or all the hidden secrets of the city. Walk through the alleys of the historic centre in search of amusing little details known only to the initiated, go green during a walk in the heart of the Ried, learn about local traditions and customs, or discover the culinary specialities of the humanist city, it’s possible! All you have to do is make your personalized request on the website dedicated to them! The people they have accompanied often feel transported by the passion and emotion transmitted through their experiences, and evoke an incomparable friendliness and conviviality. Some of them even come back especially to say hello to their favourite Greeter or simply to share the joys of a walk with friends! One thing is certain, a walk, it instructs, it moves, but above all it creates unforgettable memories and bonds. I am Greeter and I have lived in Selestat for about ten years. I fell in love with this city in central Alsace. Not very touristy, but very charming. After walking alone, I wanted to share my walks with other people, tourists, Alsatians or not, who would come to discover the city. This week is very busy for the launch of the festivities and the opening of the Christmas Village. 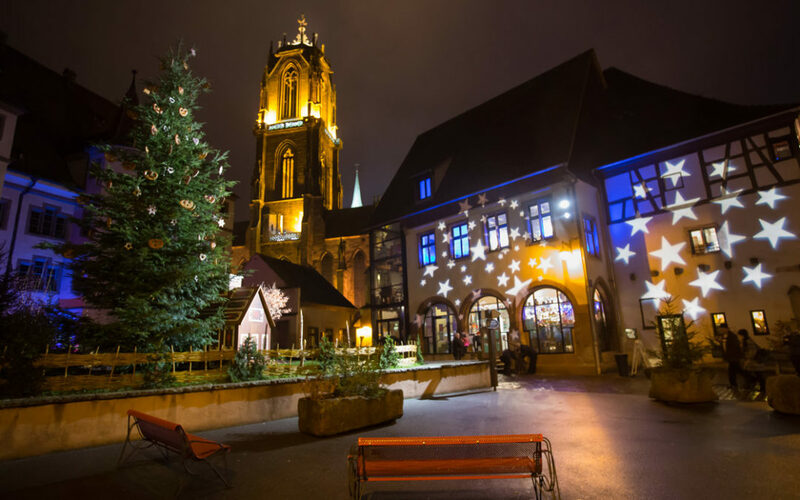 Did you know that Selestat is the cradle of the Christmas tree, it is in Selestat that the oldest mention of the tradition of the Christmas tree dating from 1521 is kept. Another opportunity to come to Selestat for its atmosphere and to taste our local specialities, the bredele and the crossed Christmas fir. it’s delicious!